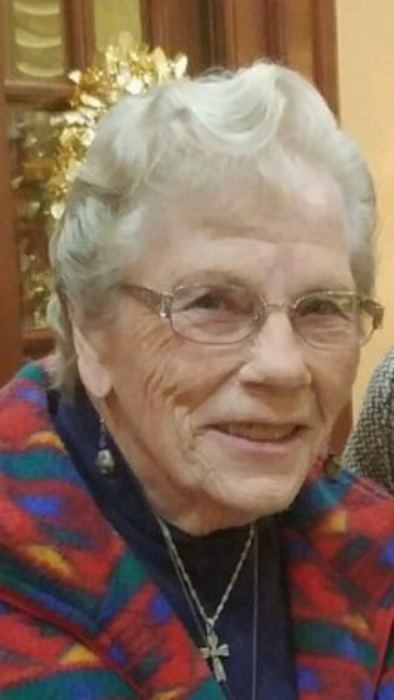 Carol Marie Bell (Fessler), 84, of Tallmadge, passed away March 25, 2019. She grew up in Akron’s Highland Square neighborhood and was a graduate of Buchtel High School. She briefly pursued nursing before marrying and devoting herself to family life. Carol loved gathering the family and friends for holidays and other special events, creating home-cooked meals and delectable baked goods for the occasions. She spent 26 years as a Tallmadge school bus driver and enjoyed a close camaraderie with fellow drivers. She enjoyed animals, gardening, travel, shopping, crafts, cards, bowling and the beach. In her younger years she was a member of the Sons of Hermann and the Akron Turner Club. More recently she participated in AARP and Primetimers, as well as being an active member for 40 years of the First Congregational Church of Tallmadge where she participated in the women’s fellowship. Carol was preceded in death by her husband of 56-years, Harry D. Bell Jr.; youngest son Keith D. Bell; parents Frank X. and Ella M. (Ruthenberg) Fessler; and brother Frank F. Fessler. She is survived by sons Michael F. (Lori) Bell and Mark S. (Kathy) Bell; daughter Michelle M. Bell; daughter-in-law Patty (Kelly) Bell; 13 grandchildren; and 11 great grandchildren, and two expected this spring – which would have been her delight, and not meeting them surely her heartbreak. We will celebrate Carol’s life at 6 p.m. Monday, April 1, 2019 at Donovan Funeral Home, 17 Southwest Ave. (on the historic Talmadge Circle) with Rev. Laurie Hartzell officiating. Visitation will be held from 4:30 p.m. until time of service on April 1. Any gesture of tribute will be appreciated. If preferred, in lieu of flowers, memorial donations can be made to any veteran’s program, or other charity of your choice.